While my kid was playing "Alice - Madness Returns" the game kept minimizing itself and going to the desktop where Google Talk was possibly trying to open. She was able to only "close" the Google program but did not "exit" the program. She stopped the game and we did SuperAntiSpyware which found a Trojan Horse. I assumed it was removed or quarrantined but problems persisted. SASpyware did find other threats but I didn't notate what they were not knowing there were bigger problems. At this point I don't know if Avast had stopped working because it usually blocks Trojans on the rare instances I have seen. I didn't know there were bigger problems till SASpyware had me reboot. Then the Avast message came up saying "Avast will not be bale to protect mail/news (error 10050). Check that Avast is not blocked by firewall." This is when I saw the red shield at the bottom of the screen saying the firewall was not on. (Which actually has been the norm at start-up for a long time but it goes on once the pc boots up - until today.) I tried to correct the firewall problem but got a message that said "Windows Firewall cannot be displayed because the associated service is not running. Do you want to start the ICS?" 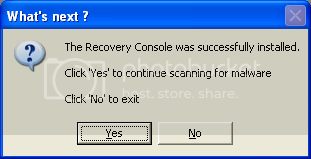 - clicking Yes got me to: "Windows cannot start the ICS." Trying to "fix" in Avast made nothing happen or "start program" made nothing happen as well. I have had Avast on silent gaming mode and that is off now too. I removed Google Talk from add/remove programs. Ooops! I forgot to add the Malware Log...I will do this later in the evening. Sorry!! Does this Hijack This entry mean there is a Facebook account being used on this pc? I have done all I can and was just able to get the malwarebytes log last night so I wasn't expecting anything sooner. I can't perform your additional steps because the pc having the problem cannot connect to the internet. I have already posted all I the spec info at the top of my first post. The problem is that malwarebytes or Superantispware probably deleted or quarantined a file or registry item that was crucial to internet connection. With these new infection especially ZeroAccess rootkit it targets internet files that are need to connect and infects them. Then your Antivirus or other malware programs delete or quarantine them thus no internet. Do you have access to another working computer and a flash drive to transfer stuff back and forth? 3 things you can run to see if they help any at all to get your internet back are. Go to Start -> Control Panel -> Network and Internet Connection ->Network Connections. Right-click your default connection, usually Local Area Connection or Dial-up Connection (if you are using dial-up), and left-click on the Properties option. Double-click on the Internet Protocol (TCP/IP) item and select the radio button that says "Obtain DNS servers automatically". In the Open: field type cmd and click OK or hit Enter. At the DOS prompt screen, type in ipconfig /flushdns and then press Enter (notice the space between "ipconfig" and "/flushdns"). If any files require replacing SFC will replace them. You may be asked to insert your Windows Xp disc for this process to continue. This can be done with a borrowed Xp disc if you don't have one. Last edited by fireman4it; 11-29-2011 at 10:13 PM. Make sure "Include All Files" option remains checked. I am still on step 2 of your previous post to get internet connection. Step 1 did nothing.